One place to track all the customer information and customer engagement from anywhere. We Provide Salesforce CRM Services globally to all our clients. Salesforce CRM is a leading on demanded CRM for the small, medium and large business. 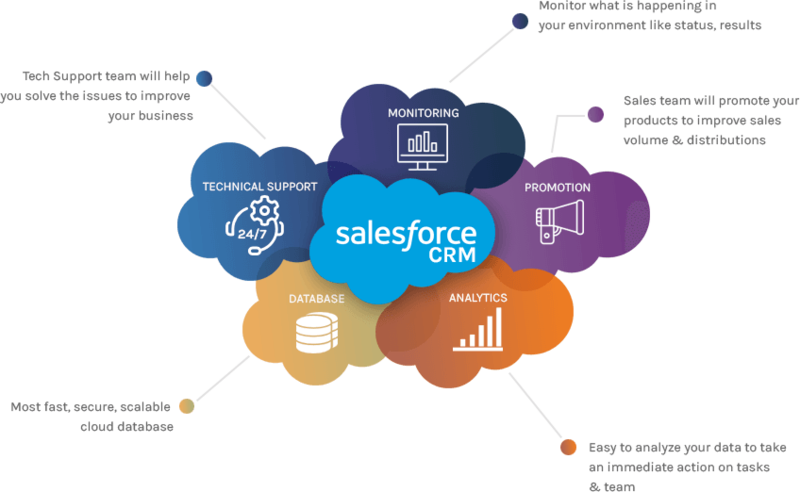 Micropyramid Offers Salesforce CRM Consulting Services in Australia and provides offshore CRM Services in Hyderabad, India. Our Salesforce Consulting Services provides world's leading on demanded CRM Services to benefit your business. Micropyramid is one of the best salesforce development company and serves the clients globally and solves the problem through salesforce. MicroPyramid have self motivated and experienced team of Salesforce system analysts and architects. Our consultants are in constant pace of developing innovative advanced techniques and methods of implementation to address ever demanding and evolving needs of businesses. Our CRM consulting services and development procedure enrich your marketing, sales, customer support and reporting to make your business process easy and sweet. We extend Salesforce CRM functionality to address clients challenges no matter how big and complex the problem is. Micropyramid is a salesforce consulting company and has certified Salesforce consultants. Our Team personally interact you to get your needs clearly and to give high productivity. Our Salesforce consulting company focused on quality, that is why we get a reward as customer satisfaction. Reach out to get Salesforce consulting services and get a free consultation for 20 days.